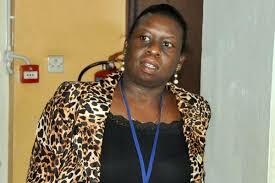 The Uganda Revenue Authority (URA) has unveiled yet another innovation this year by taking auctioning of items online. Information available from the country’s tax collector reveals that for one to bid for any item, a bidder needs to be registered as a taxpayer with a business or personal tax identification number. To bid for an item, interested bidders will “Click the Login button to login, go to Auction, click on a lot, type in an amount above the reserve price or current highest bid, click Add to Cart, and finally click Submit Bid.” However, there is a $10 (approximately UGX37,000) fee for taking part in the auction. Under this kind of bidding, URA will only accept bank payments. URA further says that items will be sold as is but pictures will be provided to show the status of the items. The beauty of online auctions is that they will be available at all customs, and one can bid using their smart phones. Every Ugandan with a tax identification number can take part in purchasing items at the auction except persons below 18 years. Foreigners and use of an agent are also exempt from the exercise. According to Mr. Dicksons Kateshumbwa, the Commissioner Customs at URA, all terms and conditions of sale, the User Guide and items for sale can be accessed on the following link: singlewindow.go.ug/auction. The initial online bidding runs from Friday December 14 to Tuesday December 18.